The Kitchen - Experience It! 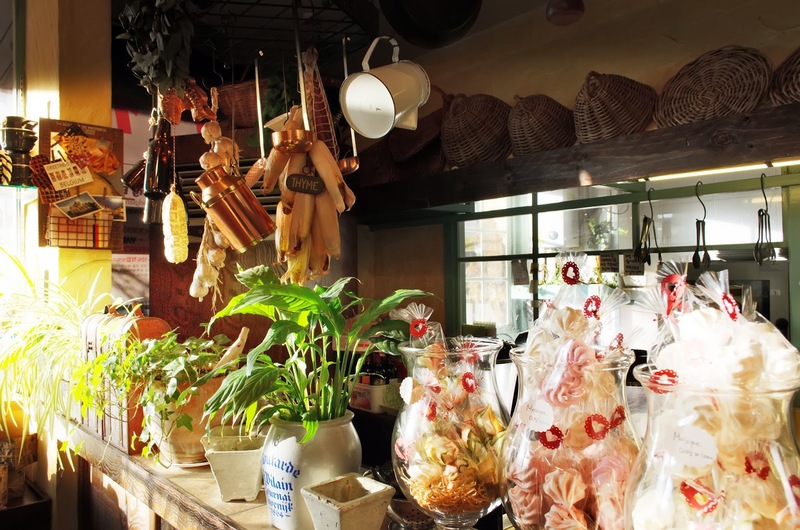 This "Kitchen" can be found in a restaurant, called "Big Bread", located in Hwajeong. I say "kitchen", because it looks like an old style farm kitchen (except for the candy of course, but imagine sugar, flour and coffee beans in those glass jars). The farm style decor of this restaurant, makes me feel at home whenever I visit it. "Big Bread" is Belgium restaurant, they serve very delicious Belgium food as well as coffee, candy and biscuits. It's the only place that I know of that sells meringues and ginger bread men and it reminds me of home. I don't feel like I'm in Korea when I visit this beautiful restaurant and I go there whenever I want to feel a little closer to home. It's well worth a visit and I think I will do a post on this restaurant very soon.